After a last-minute hiccup caused by the strikes in Greece, I flew to Abu Dhabi a day early, and I am so glad I did! The weather in Greece was terrible, and it turns out that there is so much to see in Abu Dhabi. I flew on Etihad Airways, which was recently ranked as the best airline in the world &nash; and it really was the best flight I've ever taken. For one thing, the plane was only half full, and I had an entire exit row to myself. The food was fantastic, and there were 80 movies to choose from on my personal TV screen. In Abu Dhabi, I stayed in a hotel on Yas Island, a partially man-made island about 45 minutes from the city center. The one thing I noticed immediately about the United Arab Emirates is that the distances are needlessly vast. Abu Dhabi doesn't have that large of a population, yet the city looks like Chicago and is spread out like Los Angeles. The taxi ride from the airport to Yas Island reminded me of Speed Racer or F-Zero with futuristic neon-lit buildings in the distance. There is a gigantic Ferrari theme park under construction on Yas Island. It will be the world's largest indoor theme park &nash; the entire complex is under a sleek red shell emblazoned with the Ferrari logo. Next to that is the newly completed Formula One race circuit, which runs underneath the brand new Yas Marina Hotel. The roof of this building is a vast network of color-changing LED panels that create an organic, futuristic shell &nash; it is of course the world's largest display of LED lighting. Yas Viceroy Abu Dhabi (Yas Marina Hotel) is built across the F1 Yas Marina Circuit, home of the Abu Dhabi Grand Prix. Color-changing LED glass panels form a curvilinear shell over the building. It is located on Yas Island in Abu Dhabi, United Arab Emirates. My first full day in Abu Dhabi started at the bustling Mina Fish Market, which is full of exotic seafood such as shark, barracuda, cuttlefish, and strange varieties of shellfish. I walked along the corniche that runs the entire length of the city, showcasing the neon turquoise water of the Persian Gulf. At the other end of the corniche is the Emirates Palace Hotel, the most expensive hotel ever built. It does indeed put many actual palaces in Europe to shame with its sheer size and opulence. I walked a bit more around the city trying to find a taxi to take me back to my hotel. I was really impressed by everything in the U.A.E. except for the transportation. Abu Dhabi has no public transportation system, and the only way to get around is via taxi. Luckily they are cheap, whereas everything else here is incredibly expensive. Abu Dhabi is also not really a walking city &nash; my poor feet were killing me after walking about 13 miles on Wednesday. Thursday morning I took a taxi to the Sheikh Zayed Grand Mosque, one of the largest in the world. The building contains 80 domes, the world's largest (and possibly gaudiest) crystal chandelier, and the world's largest carpet. After going all the way back to Yas Island to check out of my hotel and pick up my backpack, I took another taxi to the central bus station in Abu Dhabi, where I boarded a bus to Dubai. Arriving at a bus station in Dubai, it took quite a while to figure out how to get to Dubai Marina, where my CouchSurfing hosts, Adnan (from Pakistan) and Musti (from Turkey), live. Adnan and Musti drove me all around the city the evening I arrived. We went to the Dubai Mall, the largest in the world, and saw the newly completed Burj Khalifa, the tallest building in the world, which is accented by the world's tallest fountain display. It was all very … big. As crazy as Abu Dhabi is, Dubai is even more impressive &nash; more construction sites, taller skyscrapers, bigger malls, and more world-class restaurants. Today we started off by driving out to the Atlantis resort on Palm Jumeirah, a massive man-made archipelago in the shape of a palm tree. Then we went back to the Burj Khalifa to see it in the daytime &nash; it is unimaginably tall and the tapered structure gives the effect that the tower continues into orbit when viewed from below. We ate at a fantastic Pakistani restaurant for dinner, and finished off the evening by spending more time in Dubai Mall and going to a movie. I was seriously impressed by the U.A.E., even though it does have its problems. Transportation will get better as Dubai continues to develop its futuristic-looking metro system. But the society here is another issue &nash; Emiratis comprise less than 20% of the population and are obscenely wealthy because of their connections to the royal family. At several sites, there were signs posted not to take photos of Emiratis &nash; they get special treatment in all aspects of life. You can identify local men by their traditional white one-piece dress and head scarf. Women, like elsewhere in the Middle East, are segregated in many aspects of life, such as seating on buses. However, they get the good seats in the front &nash; men stand up in the back of the bus, which was not fun with my big backpack. The vast majority of the country's population is from India or Pakistan, but there are people living here from every corner of the globe. No matter how long you live here, it is impossible to ever become a citizen. That privilege is by blood only. 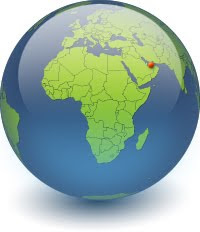 It is one of the most diverse societies I have seen, but at the same time, the U.A.E. does not seem to have much cultural history of its own. Everything is new and futuristic, and the whole country feels a bit fake, like a supersized Disney World. However, the rich diversity has created one of the best restaurant scenes I have experienced. I had such a great time here, and Adnan and Musti have been such fantastic hosts, that I am going to try to visit again in the future. Until then, I will surely miss the magnificent architecture and amazing food of the U.A.E. Tomorrow, I am off to Qatar for one night before embarking on my grand adventure in Africa! Wow, those pictures of the F-! racetrack are amazing!